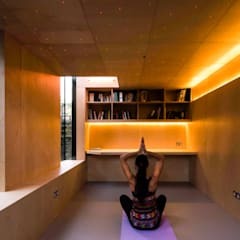 In order to create a perfect space for health and fitness inside your house, you should preferably know the size of the room before incorporating various design ideas. 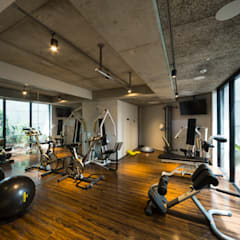 A perfect home gym gives you the freedom to exercise from the comfort and privacy of your house and many modern homes are integrating innovative design ideas to create an ideal place to work out daily without any hassles. A workout room in your house usually gives you the liberty to do exercise anytime. 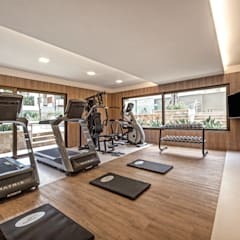 You can easily avoid taking expensive gym membership or travelling a long distance after a busy day by creating a space for workout inside your house. 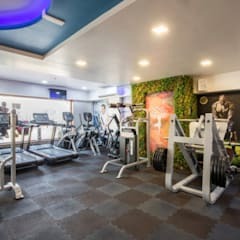 Health and fitness is an important factor to reduce health related diseases and having a gym in your house not only keeps you fit but also helps to prevent many diseases. 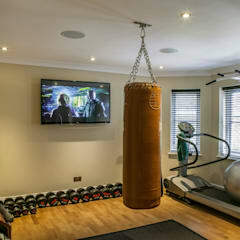 There are numerous modern home gym ideas available at Homify. It’s advisable to browse through the website for getting the perfect modern home gym inspiration. You can also hire a professional t for creating inviting place inside your room for doing regular workouts. An expert can easy utilize the space appropriately. 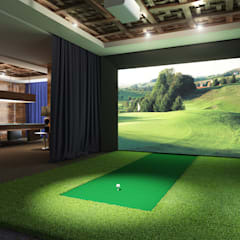 You should consult a trainer to procure the perfect equipment for your modern exercise room. It’s advisable to make a design plan that perfectly suits your needs is important for preventing expensive mistakes. 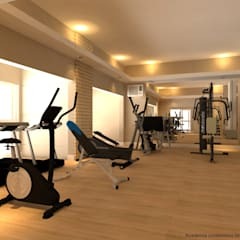 Most people think that creating area for a fitness room can be very expensive but it’s not like that. You can create an exclusive area for doing workouts inside your house on a budget too. From small apartments to big houses, a home gym can easily be incorporated. 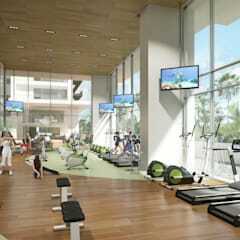 There are numerous modern gym ideas and inspiration available online. Doing a bit of research can easily help you creating a proper design brief. If you are building your house from scratch, you can tell the architect for creating an exclusive room for exercise. Where can I find modern home gym inspiration? 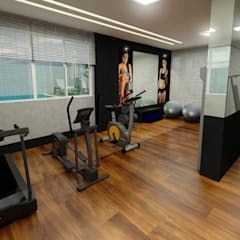 There are various places to look for while designing your personalized fitness room. Doing extensive research work before creating the design plan is extremely important for the homeowner to prevent making expensive mistakes. Most people procure equipment that are not used regularly. You should focus on your needs and understand the size of the room before making a decision. 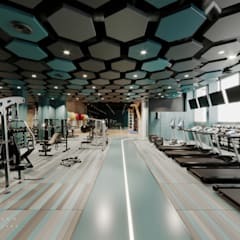 At Homify, you will find hundreds of visually stunning home gym ideas however you should select the design according to your budget and requirements. 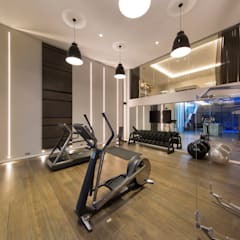 Your exercise room should also complement the overall décor of the house hence always concentrate on the space, colour, lighting options before making any decision. You can also take ideas from a friend’s home. 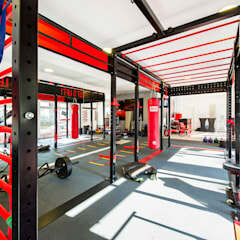 You can also consult someone who is an expert in designing home gyms. An expert knows the technicalities of installing equipment. They can easily help the homeowner in procurement and installation. An expert can take all the hassles away from the homeowner. You can also read design magazines to get the perfect modern home gym design idea for your exercise room. Most people want to create a space especially to lose weight hence a treadmill is a must, to begin with. If you are planning to do only cardio and Yoga, an empty room with the right kind of floor mat can be sufficient. In case, you are planning to flaunt a chiselled appearance, you should consult a trainer before buying the perfect machine for your training. It’s all about your requirement and the space available. 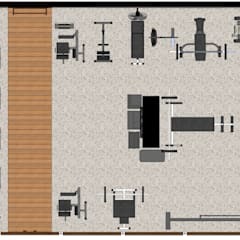 How do I go about building a modern home gym? If you are building this space from scratch, you can tell the architect to construct windows for proper flow of air. 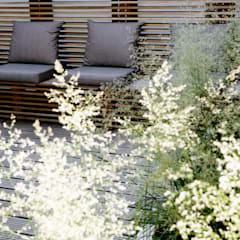 Creating an open space is important for getting enough breathing space. You should always consider having space which is clutter-free. If you want to do Yoga or dance, your exercise room should have enough space and mirrors while you should procure the right elliptical equipment if you want to flaunt a perfect body. 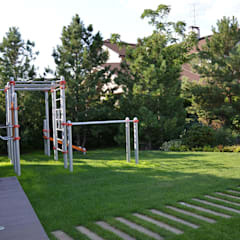 The modern home gym is all about creating an area for the homeowner to stay fit. It’s important to install a TV in this area for entertainment. You should also keep a fridge in your gym however you can avoid unimportant things for preventing injuries. A bigger space will give you enough legroom to do your workouts easily. You can do the cardio workouts in a bigger room. 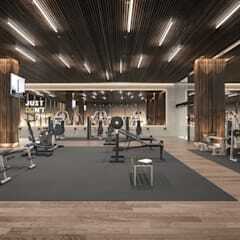 Modern gyms usually use wooden floors. Gym floors need to be tougher because it undergoes regular wear and tear. Wooden floors can withstand heavy weights. Wooden floors also look good and easily complement modern décor however you should regularly clean them to remove the moisture. 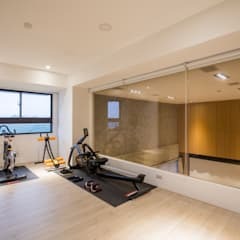 What wall colour is appropriate for a modern home gym design? The modern home gym should look inviting enough to tempt the homeowner to spend time in this space. You should decorate the walls with soft shades for creating a visually stunning area. Hues like white, cream, turquoise are extremely suitable for modern homes. The colour of your exercise room should be subtle. You can also install mirrors in this space. Mirrors help to prevent exercising mistakes. You can also track your performance and change in your appearance by looking at the mirrors. You should always choose hues that reflect positivity hence using soft shades can easily inspire you to do more workouts. It’s always advisable to do a bit of research before selecting the perfect hue for your walls. You shouldn’t make mistakes by choosing contrasting shades that may not complement the other rooms. 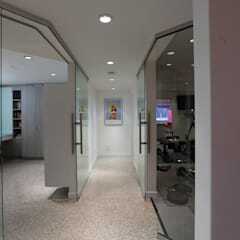 Hiring a professional is extremely important for attaining the perfect look for this space of your house. An expert has access to painters and other resources. They can easily make your work easier. In order to achieve an aesthetically pleasing workout room, you can also shortlist exclusive designs from Homify. The colour of your walls can also be a mood healer. Soft colours are always very soothing and relaxing. 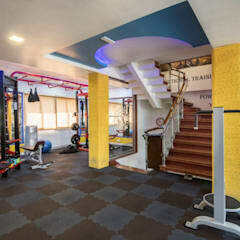 A home gym is not only a place for fitness but it also helps you to relax and unwind after a busy day hence choosing the right shade and lighting is very important to create a delightful room. 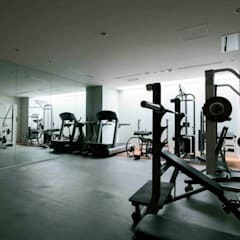 What are the most appropriate modern gym flooring options? The floors of an exercise room should be the strongest of all. The floors are the important part of this space hence you should do a bit of research before choosing the right material for your floors. The fitness room undergoes regular wear and tear due to workouts and weights hence using wooden floor is appropriate for a home gym. You can also consult a design expert for selecting the right material according to your needs. It’s advisable to use a scratch resistant material in your gym room. 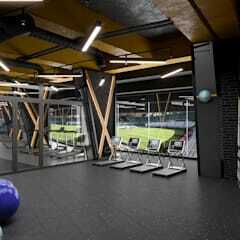 The continuous dragging of heavy equipment during workouts require a floor that can withstand the heaviest of equipment hence you should invest more in the floors for avoiding high maintenance cost in future. There are various home gym flooring options available at Homify. You can easily shortlist few designs according to your needs. You should also consult a trainer for the equipment before designing your floors. From chin-up bar to free standing punching bag, from adjustable dumbbells to stretching mat, from jump rope to exercise bands, from core training wheels to an exercise ball, there are many fitness products that can be procured for your home gym. The treadmill is one of the most popular fitness equipment for a modern fitness room. You should understand your requirements before procuring and installing these products. It’s advisable to consult a trainer before procuring the equipment. You can easily avoid making expensive mistakes by doing extensive research. You should also buy products from reputed source. 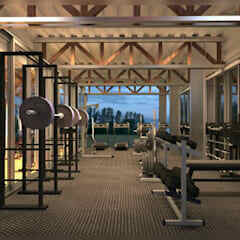 Focusing on the quality is extremely important for maintaining a standard looking weight room in your house. High-quality products also last long. Hiring an expert for procuring gym equipment is highly recommended. A professional deal with these products regularly hence they can guide you properly. How do I convert a spare room into a home gym? Converting a spare room into a home gym is a great idea however you should understand the space properly before installing fitness products. 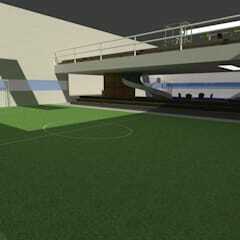 You should also understand your requirements before designing the space. The spare room may require renovation for making the area look inviting. You can easily buy fitness products like a treadmill, exercise ball, dumbbells, chin-up bars etc. however it’s advisable to know the size of the room before purchasing the products. The room should have enough space for movement. A clutter-free exercise room can also prevent injuries hence you should buy products which is extremely important. Most people commit mistakes by buying all equipment however they never use them in future. You should also consult an interior designer before choosing the colour for the walls and flooring options for this space. From bigger spare room to small spaces, you can get sufficient ideas to make a fully functional home gym by browsing through various designs at Homify. 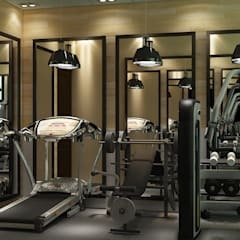 Consulting an expert can also help you a lot in procurement and installation of fitness products. 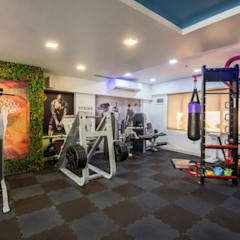 A well-designed fitness room not only helps you in staying fit but also speaks a lot about the personality of the homeowner. From an empty room for Yoga to a fully equipped room for bodybuilding, you can easily create the perfect workout space in your house. Space is never a constraint if you have to the will. If you are passionate enough to flaunt a desirable appearance, you should consider creating a home gym from scratch. Unlike yesteryears, people are now making spaces for workouts in small apartments. Having a home gym can easily make your life better.